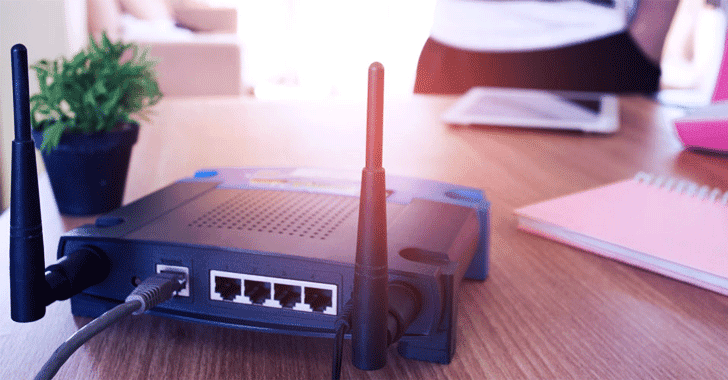 British police have arrested a suspect in connection with the massive attack on Deutsche Telekom that hit nearly 1 Million routers last November. Late last year, someone knocked down more than 900,000 broadband routers belonging to Deutsche Telekom users in Germany, which affected the telephony, television, and internet service in the country. Now, Germany's federal criminal police force (BKA) revealed today that the UK's National Crime Agency (NCA) reportedly arrested a 29-year-old British suspect at Luton airport in London on Wednesday, who is accused of being the mastermind behind the last year's attack. In a statement, the German police said the last year's attack was especially severe and was carried out to compromise the home routers to enroll them in a network of hijacked machines popularly known as Botnet, and then offer the DDoS services for sale on dark web markets. But ultimately, the attack created a denial-of-service situation, which resulted in more than 900,000 customers losing Internet connectivity for a while. "From the outset, Deutsche Telekom cooperated with law enforcement agencies," BKA said. "Technical assistance was also provided by the Federal Office for Information Security (BSI) in the analysis of the malicious software used." The Botnet of hacked machines is used to carry out "distributed denial of service" (DDoS) attacks to knock any site or server offline by sending them a larger number of rogue requests than they can handle. It is believed that a modified version of the infamous Mirai malware – a piece of nasty IoT malware which scans for insecure routers, cameras, DVRs, and other IoT devices and enslaves them into a botnet network – was used to create service disruption. Mirai is the same botnet that knocked the entire Internet offline last year, crippling some of the world's biggest and most popular websites. The BKA got involved in the investigation as the attack on Deutsche Telekom was deemed to be a threat to the country's national communication infrastructure. German police from the city of Cologne identified the suspect and issued the international arrest warrant. The BKA said the cops would extradite the 29-year-old man to Germany to face charges of computer sabotage. If convicted, he can get a prison sentence of up to 10 years. The department said it would release further information by the ongoing investigations.